Web-based and instructor-led training and free “massive open online courses”(MOOCs). Curriculum solutions for educators, including Esri Press books and SpatiaLABS exercises for higher education, and GeoInquiries for schools. Deeply discounted access to the ArcGIS platform and training resources for educational institutions, and free access for students. A multi-level Technical Certification program that attests to practitioners’ skills. A Young Professionals Network that builds community among recent graduates and other newcomers to the GIS field. ArcNews, ArcUser, and other publications for general and professional audiences. The User Conference and many other Esri-sponsored learning events. Alongside our education partners, Esri is committed to providing a full spectrum of offerings for learners who wish to broaden their horizons, both professionally and personally. The Lifelong Learning exhibit at the 2016 User Conference Pavilion will showcase these offerings and provide access to the people who stand behind them. 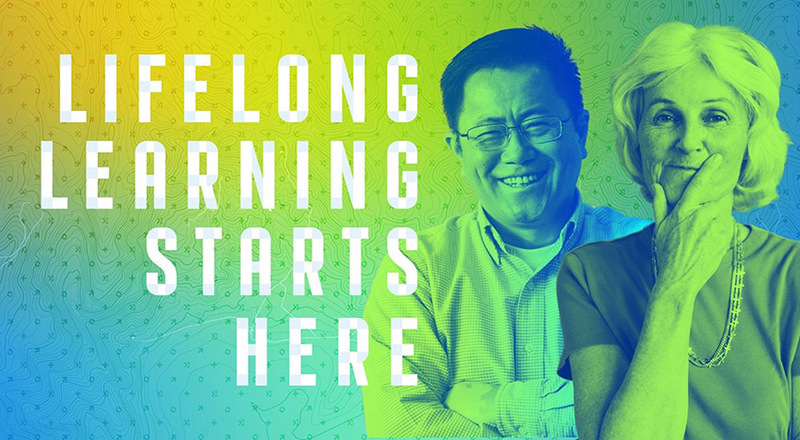 Representatives of Esri’s Training Services, Education Outreach, Technical Certification, and Young Professionals teams will be on hand at the Lifelong Learning exhibit. They’ll be ready to advise visitors about how Esri can help learners learn, help teachers teach, help GIS pros advance their careers, and help the GIS community change our world for the better. They’ll also be eager to hear advice about what more we can do to help. Visitors will discover education offerings that are most useful to them, and will learn about Esri’s plans to expand its support for lifelong learners.